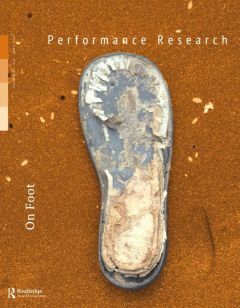 The aim of this issue is to rethink the expressive and perceptive potential of the foot in contemporary performance. Contributors will reflect on a variety of footbased practices and processes as both dramaturgy - in theatre, dance, performance and film - and in everyday life activities such as running and walking. 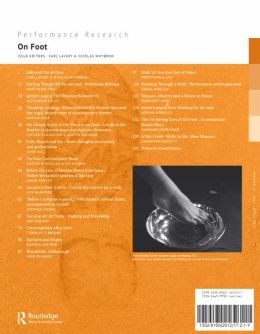 They will also contemplate the metaphorical significance of the foot in phrases such as footwork, footnotes, footage and in the technical vocabulary associated with the foot as a mode of rhythmic measurement in music and poetry. The issue hopes to draw attention to the foot’s aesthetic and political capacities for perceiving and (re)arranging the world.